In the world of cocktails, everything old is new again. In this hands-on class, learn how to craft the classic farmer’s tonic, the shrub, and the retro low-alcohol cocktail made with it, the shim. The SHED shrub, the colorful elixir that’s always available at our Fermentation Bar, is a seasonally-based drinking vinegar made from freshly muddled fruit juice and aromatics sourced from local farms. It becomes a shim when mixed with various low alcohol aperitifs and bitters to create “leveling” cocktails that enliven the palate and awaken the appetite but don’t bludgeon the brain. SHED’s shims feature locally sourced low-alcohol bases. 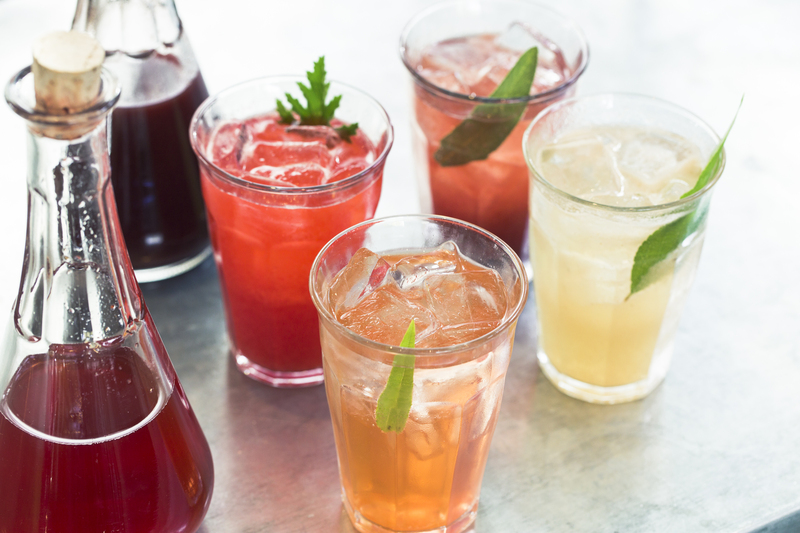 With the instruction of SHED’s fermentation crafter Gillian Helquist, you’ll sample a variety of shrubs and shims and explore the flavor components in each one, introducing you to a world of creative cocktails that you can make at home. Each workshop participant will receive 10% off SHED’s retail store the day of the event, perfect for stocking up on bar tools, produce, and books.